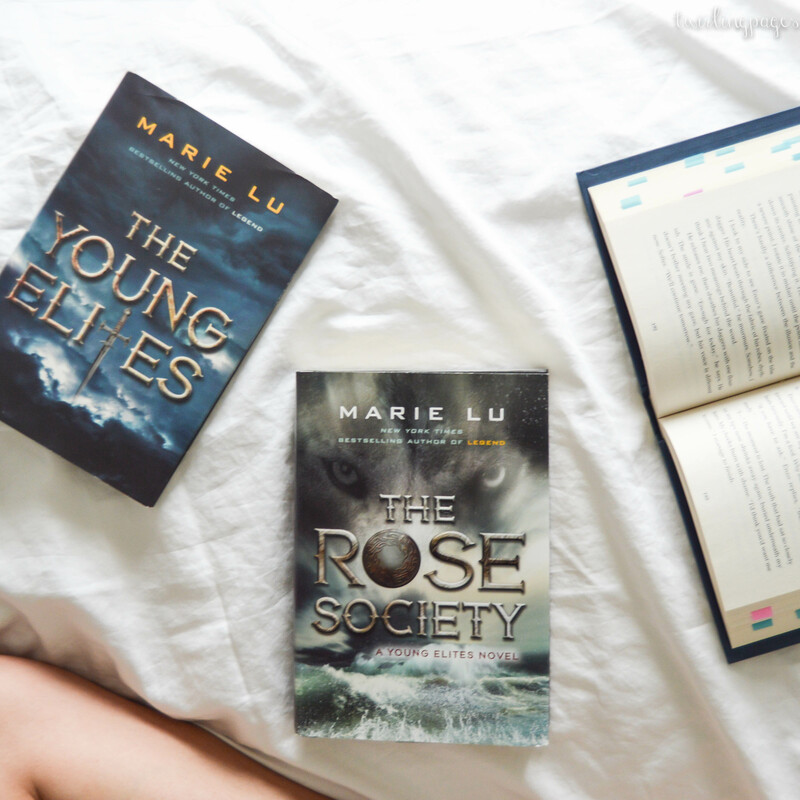 read my review for THE YOUNG ELITES, the first novel of this series, here! THE YOUNG ELITES is mild compared the THE ROSE SOCIETY. in terms of plot, TYE is much faster paced and has more twists; in terms of characters and conflict, TRS is definitely more complex. the characters in this novel are… indescribable. they’re so distant and dark that it’s hard to see what they’re truly thinking and who they truly are – even when it’s from their perspective. it makes you wary and suspicious of everything, building the suspense for the plot. however because of this, i had a hard time feeling emotionally attached anyone. although they were really really complex, i found it all a bit mediocre because i couldn’t bother caring for them. 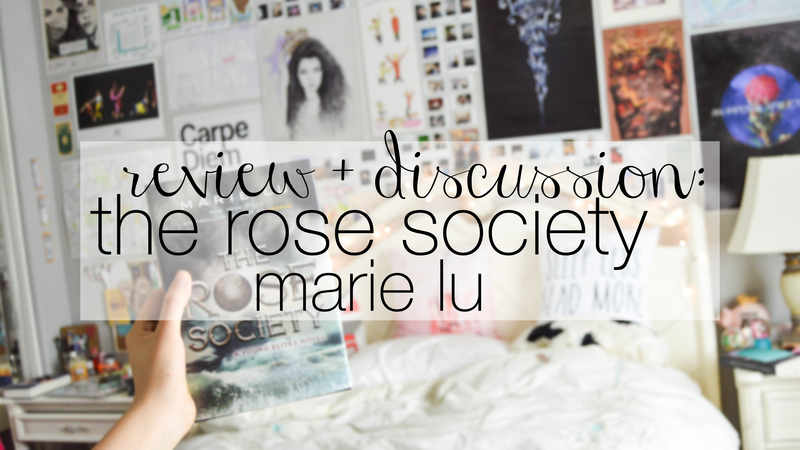 overall, THE ROSE SOCIETY was a fairly good read. the plot is interesting and perfect for the fall/halloween season. however, i didn’t connect with the characters (except for maybe one or two) and adelina is a bit too extreme for my taste. although i have to say their powers were very cool! but the romance also frustrated me. I’M MOSTLY FEELING CONFUSED. i liked it, but i was also a bit disappointed? i dunno. spoiler-filled discussion beginning! please do not read until you’ve finished the book. i started this book hoping we would pick up with adelina and the beldain queen as allies then proceed to bring enzo from the dead and all would be well. BOY WAS I WRONG. this book was not at all what i expected it to be. at the beginning, i was so glad we got our priorities straight: maeve was planning on bringing enzo back from the dead! but as the story moved on, i realized what a horrible idea that would be and how everything will probably go down the drain. when it finally happened and disaster struck in every direction, i was screaming, “UGH I TOLD YOU SO.” enzo should’ve stayed dead. enzo came back and he wasn’t enzo. adelina was blind in her so-called love for him and i wanted to slap her all over again. enzo should’ve stayed dead. everyone else is ehhh. queen giulietta seems more like a plot device than an actual character and teren’s obsession with her is sickening. actually, everything about teren makes my want to gouge my eyes out. i like how we go into maeve and lucent’s past and find out they’re actually a thing?! that was different and cool, but also somewhat disappointing since we only got a random chapter out of it. the whole ordeal was a bit random and we never hear about it again. :// gemma’s death was disappointing and i really wish adelina wasn’t so horrible towards her at the end, although i can see where she’s coming from. *internal conflict* the sad thing is, i wasn’t emotionally attached to it. not reeeally. i remember being so torn in TYE, but this book left me in a “oh, okay” state of mind. i’m somewhat disappointed in the ending. it seems to me like it ended in the middle of a sentence. so she’s on the throne alone? what about violetta and magiano? and the newfound information?? what’s it supposed to mean??? well?????? it’s not really a cliffhanger, but it kinda is. in conclusion, i’m not sure how i feel. mostly frustrated and mostly confused. what are your thoughts on this book? let me know in the comments!